The Waber-by-Tripp Lite UL800CB-15 Power Strip offers reliable, convenient, cost effective method of power distribution for appliances, power tools, lighting and other electrical equipment. Includes 10 NEMA 5-15R output receptacles arranged with traditional wall socket spacing to accept large equipment plugs with minimal outlet blockage. Includes 4.57 m (15-ft.) AC line cord and flat sheet metal flanges for installation in a wide variety of applications. Corded, multi-outlet strip reduces cabling clutter and enables the connection of multiple electrical devices to a single AC wall socket. Unfiltered electrical pass-through makes UL800CB-15 ideal for distributing alternate waveform UPS or generator power. Features rugged all-metal housing, lighted power switch, 15 amp resettable circuit breaker and attractive blue/grey color scheme. No job is too demanding for Waber-by-Tripp Lite’s heavy-duty UL800CB-15 multi-outlet power strip. With its rugged, all-metal housing, the UL800CB-15 provides power to 10 standard NEMA 5-15 outlets arranged in traditional wall socket spacing so users can plug-in large equipment plugs with minimal outlet blockage. The UL800CB-15 uses an unfiltered electrical pass-through, making it ideal for distributing alternate waveform UPS or generator power. A lighted and covered On/Off switch helps prevent accidental shut offs, while a 15-amp circuit breaker guards against dangerous circuit overloads before they happen. With the extra length provided by the 15-ft. power cord and metal mounting flanges, you won’t have to install the UL800CB-15 next to outlets you already have; it can be mounted at extended distances and still deliver reliable service wherever it is need it most. For peace of mind, the UL800CB-15 comes backed by a lifetime warranty and RoHS-compliant design. 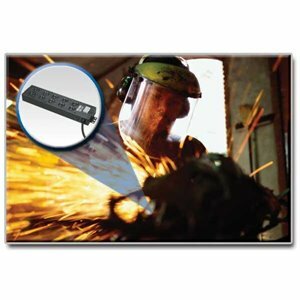 With wall-mount, under-counter and other creative installation options, a rugged housing and plenty of outlets, Tripp Lite’s UL800CB-15 is a versatile solution to reliably distribute power to appliances, power tools, lighting and other electrical equipment in both industrial and office environments. The UL800CB-15’s unfiltered electrical pass-through feature allows for power to be distributed to applications that require distributing alternate waveform UPS or generator power to protected equipment. Install the UL800CB-15 far away from its power source and provide power to previously un-powered areas with the extra-long, 15-ft. power cord. The UL800CB-15 can be mounted in a different area, or a completely different room, from where it draws AC power, putting you in control of getting reliable power service where you need it most. The UL800CB-15 features a translucent switch cover that eliminates accidental shut offs. The lighted On/Off switch allows you to see whether the UL800CB-15 is operational with a glance. A built-in, 15-amp circuit breaker prevents dangerous circuit overloads that could damage equipment by immediately shutting off AC input to the UL800CB-15 when it detects that an equipment load is drawing too much power. The UL800CB-15’s rugged, all-metal housing is durably constructed, making it a great solution on the factory floor, server room, or office space. It is also manufactured in compliance with strict RoHS specifications, reflecting Tripp Lite’s commitment to environmental responsibility. For peace of mind, it comes backed by a lifetime warranty.